Are You Ready for #TShirtTuesday? We believe there is no such thing as too many T Shirts. That’s why we want to show our appreciation to our fantastic and loyal social media followers by giving them the shirts off our backs. 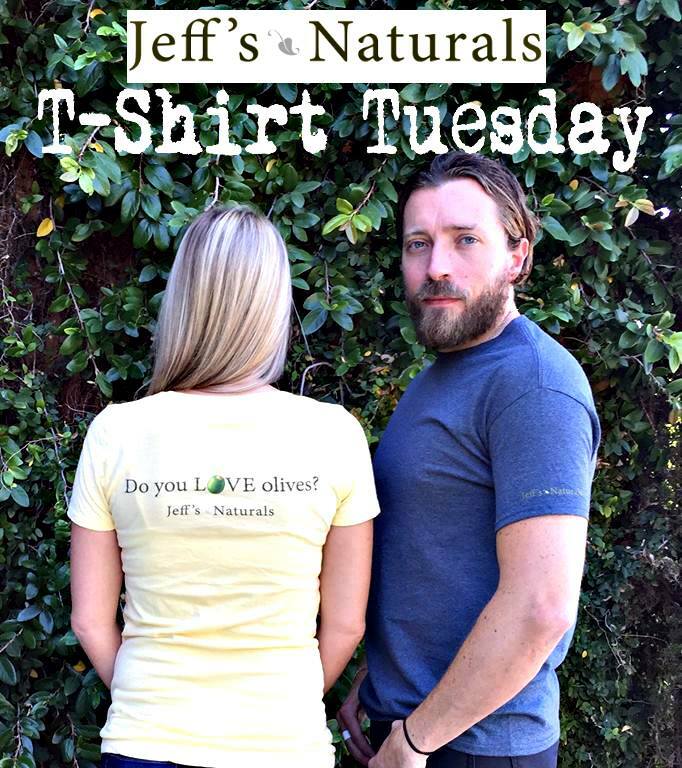 Beginning Tuesday, September 22nd– we are giving away one of our super cute “Do You Love Olives” T-Shirts along with Jeff’s Naturals coupons to one of our newsletter subscribers and one of our Facebook followers. 1. If you are already a subscriber to the Jeff’s Naturals monthly newsletter, then you’re all good. Just keep doing what you’re doing. If you are not a subscriber, you are missing out on exclusive recipes made with Jeff’s Naturals products, pairing ideas along with natural foods store news and sales. So join already! We promise we’ll never spam you or share your information with anyone else. 2. 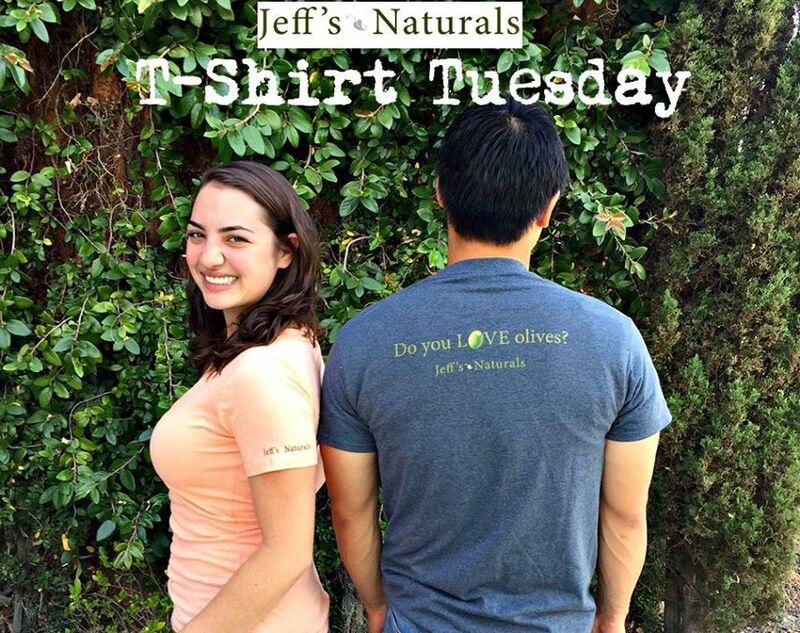 Follow the Jeff’s Naturals Facebook page and check our page every Tuesday morning in September and October for our #TShirtTuesday post. Leave a comment on our post and just like that, you are entered. We’ll automatically pick a winner from our list of subscribers every week and email the winner. Remember, Jeff’s Naturals Monthly Newsletter Subscribers get 2x the entries!